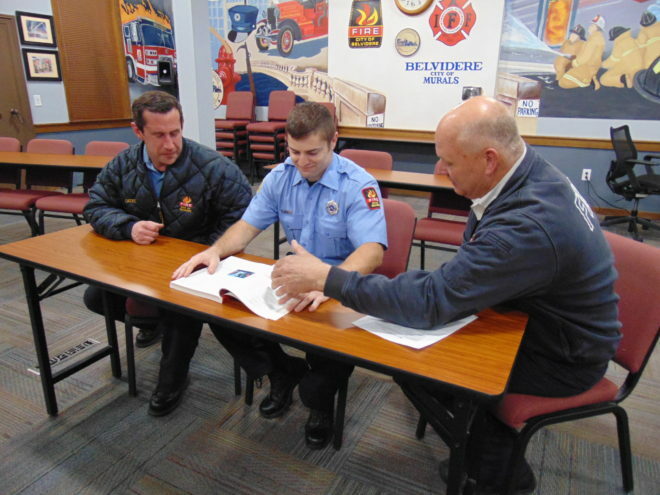 17 year veteran firefighter Josh Oates and Captain Holmes work with the newest BFD firefighter Stephen Mead as he studies. “When possible,” said Chief Al Hyser, “We prefer to recruit locally. The test is, of course, open to anyone who would like to apply. They do need to be a U.S. citizen and between the ages of 21 to 35. “I know we have so much local talent in Boone County and I know how I feel having been born and raised in Boone County and now working in public safety. It is extremely rewarding. I know there are a lot of young people in this county who are really interested in fire service and we would like to give them the opportunity. We would be pleased to have them apply for our department. “Today’s fire service is really dynamic with a multitude of disciplines ranging from its medical aspects to technical rescue and fire suppression. “Testing for the department includes a written test with 100 multiple choice questions; reading comprehension; mathematical ability; and interpretation of maps, diagrams, and mechanical drawings. There will also be questions regarding teamwork, public relations, and community living. Those interested in the position of a full-time firefighter can fill out an application online at www.jobsource.copsandfiretesting.com by May 2 at 4 p.m. There is a nonrefundable fee of $30. These applications go to the Office of C.O.P.S. and F.I.R.E. 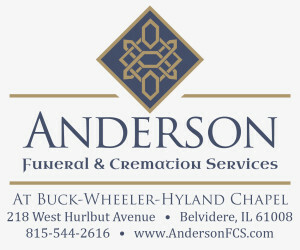 Personnel Testing Service, Attn: Belvidere FD, 200 W. Higgins Road, Suite 201, Schaumburg, 60195. Firefighter testing will be on Saturday, May 19 at the Belvidere High School, 1500 East Ave. Registration begins at 8 a.m. Mandatory Orientation starts at 8:30 a.m. followed immediately by the written exam.